We were birthed out of the Center for Sharing, whose mission is to “call forth the gifts of all persons through Christ-centered community”. ….a place of peace which welcomes individuals and small groups of people such as social, civil, religious or other groups which may emerge as the result of mutual interests and who, because of their existence, are beneficial to the needs, interests, stability and well-being of the greater community in which they live. 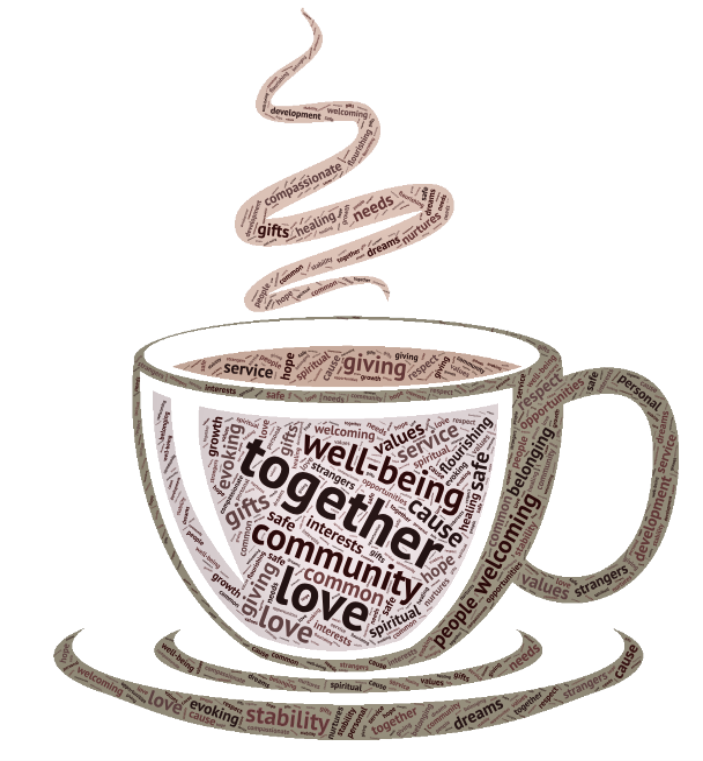 The Collegium features a Café as the hub for its community building networks. 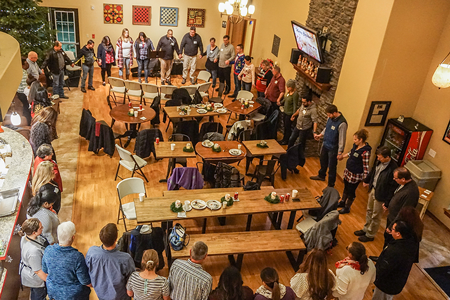 These groups, though diverse in gender, age, ethnicity, religion and purpose, will explore practice and model common values that nurture compassionate service and respect of all due to the shared belief that all persons have been created in the image of God, our Creator. Thus, those in the greater community will also find here a sense of belonging as well as opportunities for personal, spiritual and community development. 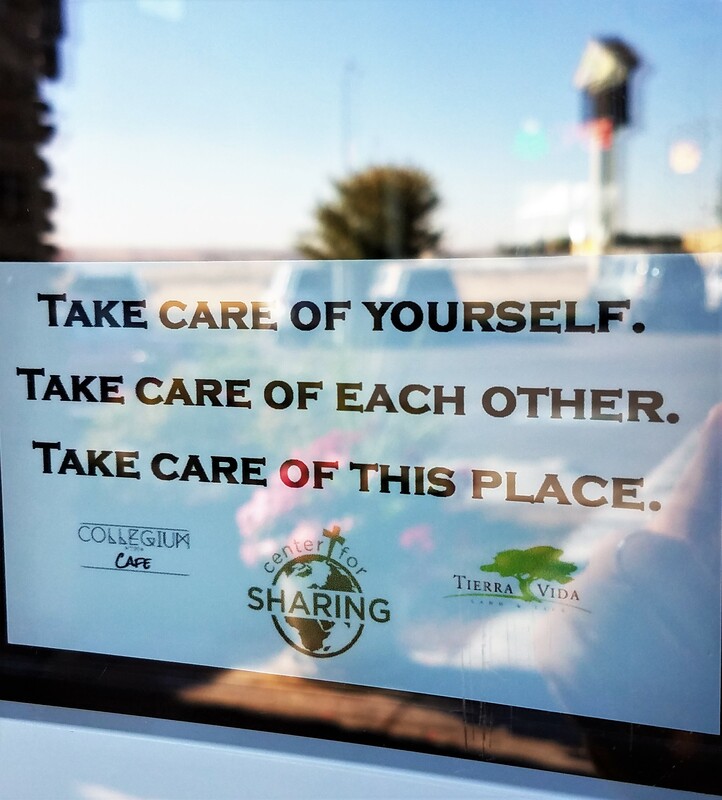 The Center for Sharing is a hospitality and training institute for Vista Hermosa Foundation, with a focus on the theory and practice of servant leadership development, trauma informed care and an empowered worldview within the context of specific community settings. In this way we seek to practice Vista Hermosa Foundation’s theory of change which nurtures healing and growth towards spiritual well-being within flourishing communities. The Center is housed within the Collegium, located in East Pasco in the heart of the Tierra Vida community. At the Collegium we also share about our beliefs through artwork on the wall. After school, when the kids get dropped off by the bus, they rush into The Collegium to use the bathrooms. Sitting in our offices, we hear the commotion down the hallway. "Hurry up" one says, "are you done in there?" while frantically knocking on the door. Cheryl steps into the hallway and explains to the kids the importance of giving the other person the space and time to use the restroom properly, and shows them where they can wait until it's their turn. 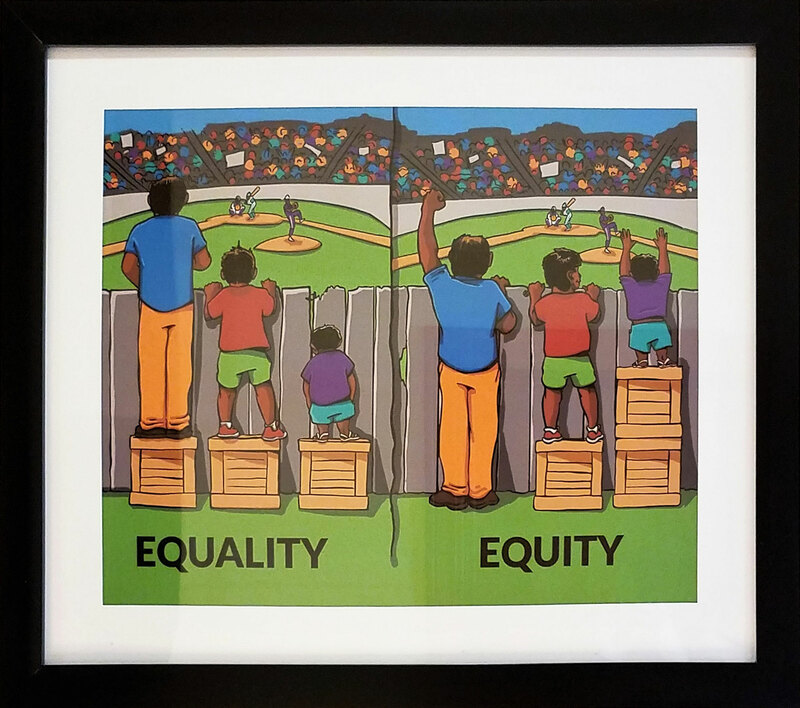 One of the kids in line notices the poster we have framed between the two bathrooms, and asks what does equity mean. Throughout every day we are given many opportunities to teach. Who would have known that bathrooms of all places would be one of those opportunities. We like to call it bathroom etiquette. 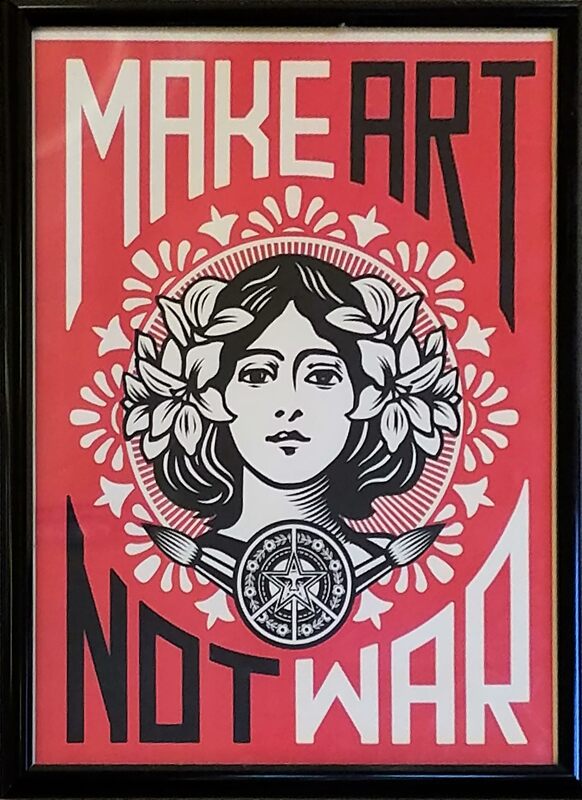 Another piece of art that customers often notice, and stop to take a picture of is this one to the left. We are a place that encourages individuals to choose love first. Love is a very powerful tool. It’s too often that individuals we work with or encounter don’t know what love is. Through conversation, through building relationships, through community we can slowly see that change. We start to see glimpses of hope in their eyes, that love is possible. We think of the Collegium as a ‘third place’ where people can enter as strangers and leave as friends. Third places can address the prevailing loneliness generated by the limits of individualism and personal freedoms. 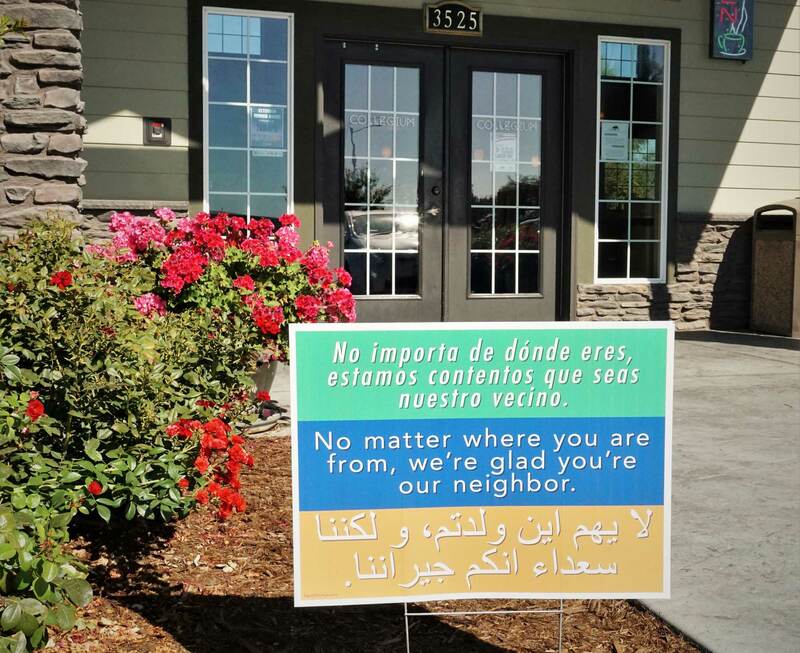 They offer space where those who have been separated out due to age, gender, class, religion, role and origin can become engaged in integrated community. 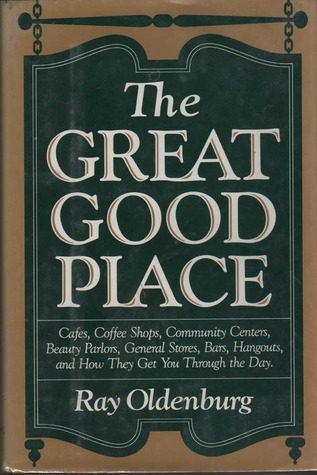 In his book: The Great, Good Place, Ray Oldenburg says “the third place is a Leveler”. This term had come from a political movement in England in the mid seventeenth century that emphasized equality and religious tolerance. At the same time, coffeehouses began to become established in England. Soon the term ‘leveler’ was being applied to other areas of society as well such as these coffeehouses. They began to be seen as places offering neutral ground in which to host the main activity of third places everywhere…conversation…for the pure enjoyment of one another as well as for offering relief from playing a role, but rather, just being human. These places were inclusive and accessible to the general public without formal criteria for membership. One’s personality rather than one’s station in life was what counted. Hence, worldly status claims were checked at the door in order that all might be equals within irrespective of role, duty or rank.